Lately I have been in a decorating mood. I have rounded up 11 items that I would love to own to spruce up my home that are all stylish for less and each under $50. This vase which is currently $40 was originally $180! This, this, and this have a certain Fall feel to them that I love. I never have enough storage so I am always looking for pretty baskets. What have you done lately to decorate or add personal touches to your home? 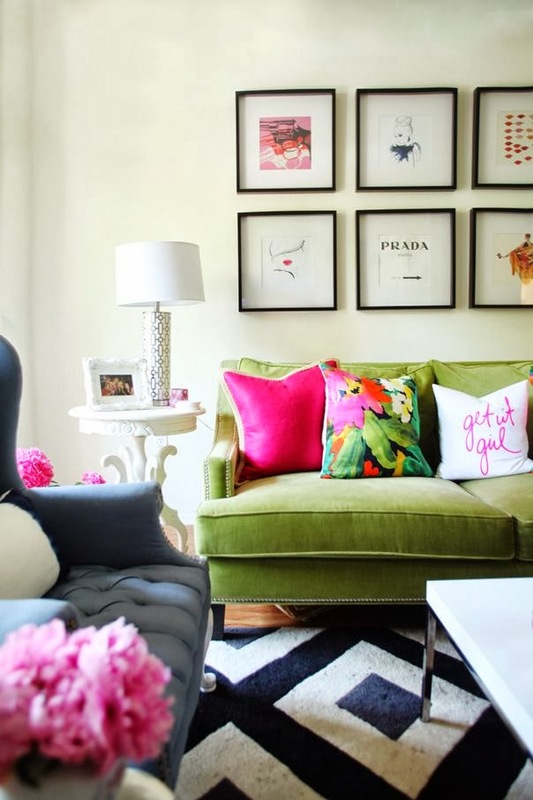 That patterned pillow is so pretty. I really need to do a little spruce up with my living room! This basket looks so cool!!! I really love the leaf serving bowl! I love the pillow and mirror! love the pops of pink... so cute! Lovely pics - that starburst mirror is fab! so many good picks! i love home decorating but am definitely on a budget. these picks under $50 are such a great idea. i have found some pretty cute but cheap vases at hobby lobby recently. These are all awesome decor items! We just made a new DIY owl wreath for Halloween. i love the frames/pics on the wall in the pic! personally, i've been really getting into candles recently! the leaf tray looks so interesting. Love this! Such great picks. That photo is so cute. I love your inspiration photo here - that end table is gorgeous.